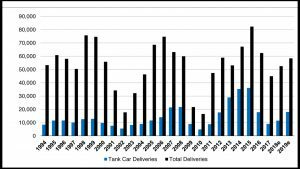 An estimated 64,000 DOT117J (new) and DOT117R (retrofit) tank cars will be produced over the 2019-2022 time frame as confidence grows in a tank car demand resurgence, according to Cowen and Company analyst Matt Elkott. 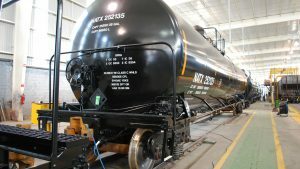 Financial Edge, September 2018: According to the good people at Railinc (a perennial speaker at the annual Rail Equipment Finance Conference, www.railequipmentfinance.com), as of July 1, 2018, 12,581 tank railcars had been retrofit to the DOT117R standard. 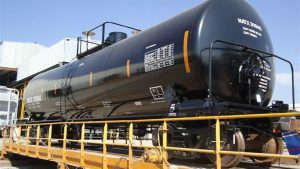 In the first seven months of 2018, 5,349 tank railcars were retrofit (an average of 764 per month). 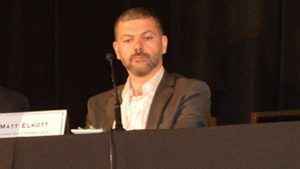 If retrofits continue at the same pace for the remainder of the year, the total number of retrofit cars completed in 2018 would be more than double the total number of retrofits completed by the end of 2017. Cowen and Company Equity Research Analyst Matt Elkott, who covers the railway supply sector, on May 4 issued a report that looks favorably upon two potential combinations: Trinity and GATX, and Wabtec and GE Transportation. 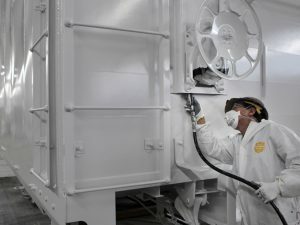 Railcar builder Trinity Industries announced it would sell its infrastructure-related business to shareholders as part of a strategy for future growth, and spend $500 million to buy back shares. Railcar inquiries remain elevated: Cowen and Co. 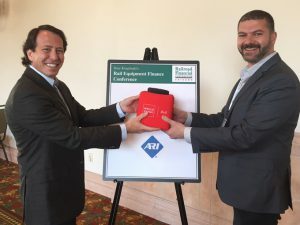 Reporting on Cowen and Co.’s just-concluded 10th Annual Global Transportation Conference, analyst Matt Elkott said that railcar demand recovery is “likely sustainable but not at the same level as second-quarter 2017.” Cowen is projecting third-quarter 2017 orders for 9,400 units, below the second quarter’s 12,000 but significantly higher than the first quarter’s 4,800 and similarly low prior levels. 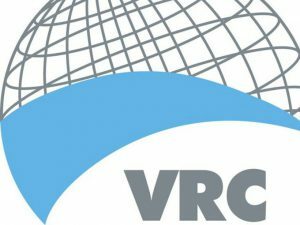 Vertex Railcar Corp. said it has received an order for more than 130 2,480-cubic-foot open-top aggregate hoppers with automatic bottom gates and 60-degree side slopes. 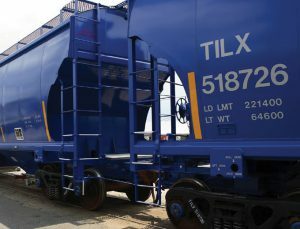 Car builder Trinity Industries on Tuesday said revenue and profits declined on “significantly lower” railcar deliveries in the first quarter of 2017 compared to the year-ago quarter. 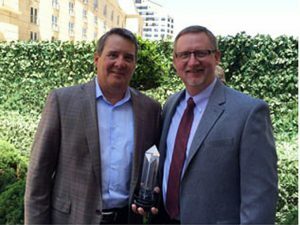 For the second consecutive year, TrinityRail has awarded Miner Enterprises, Inc. a Premier Supplier Award. Trinity selected Miner as one of 13 standard component suppliers deserving special recognition based on product quality, pricing, and reliable on-time delivery.